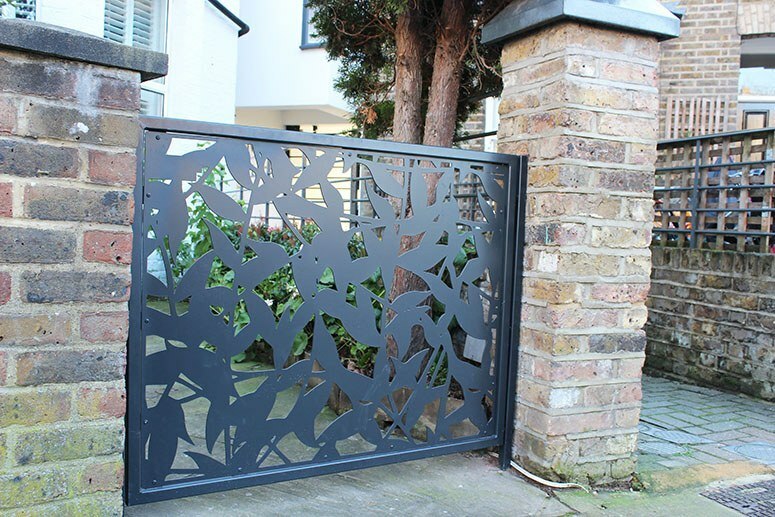 This residential home located in West London, underwent a garden renovation project and required a set of decorative privacy screens. 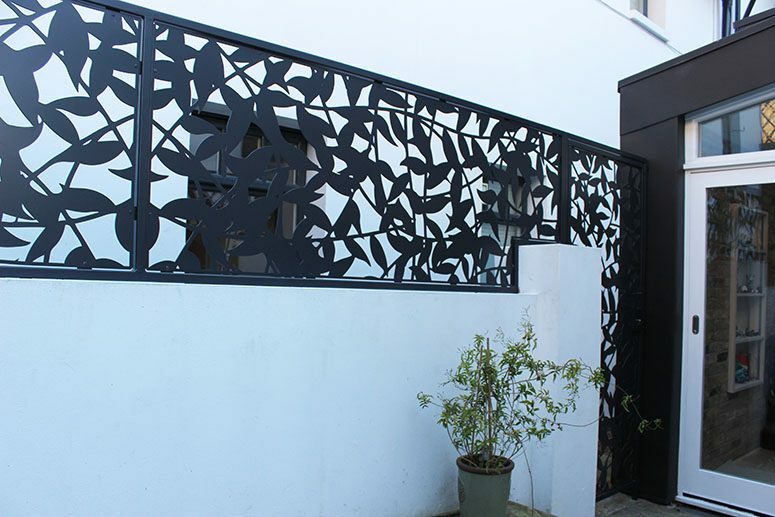 The homeowners had an idea of the pattern they wanted to create and designed it themselves. As they were seeking something bespoke Canal were the perfect candidate for the job. In the workshop, Canal laser cut each 3mm stainless steel sheet to achieve the organic pattern the client designed. To hold and support the decorative panels in place a mild steel box section fabricated and welded together at our Nottingham site. The Canal team also designed tab fixings onto the box section to create for a seamless installation. A powder coating black finish was then added to the box section and laser cut panels before delivering and fitting on site. 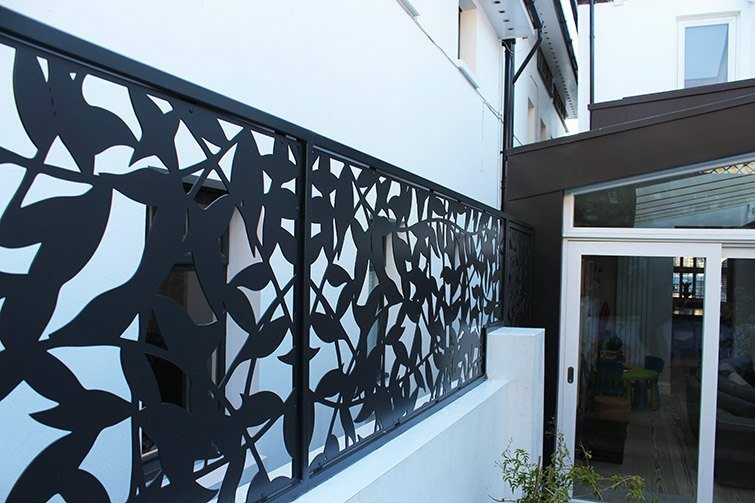 Canal Architectural offer an extensive range design options for laser cut screens. The benefit of laser cutting is that it allows you to create almost any pattern you desire with small intricate details. 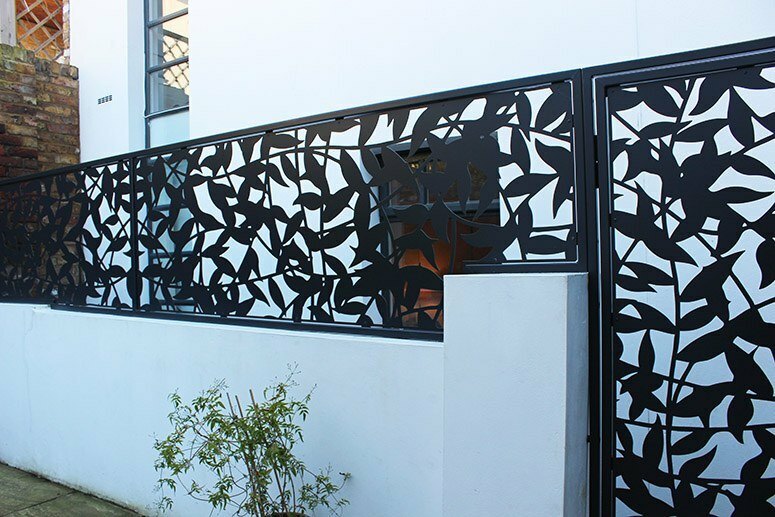 To discuss further about decorative privacy screens and its various installation methods, please contact the Canal Team. To discuss your next staircase, balustrade or architectural metalwork project, contact Canal Engineering; you'll be glad you did!